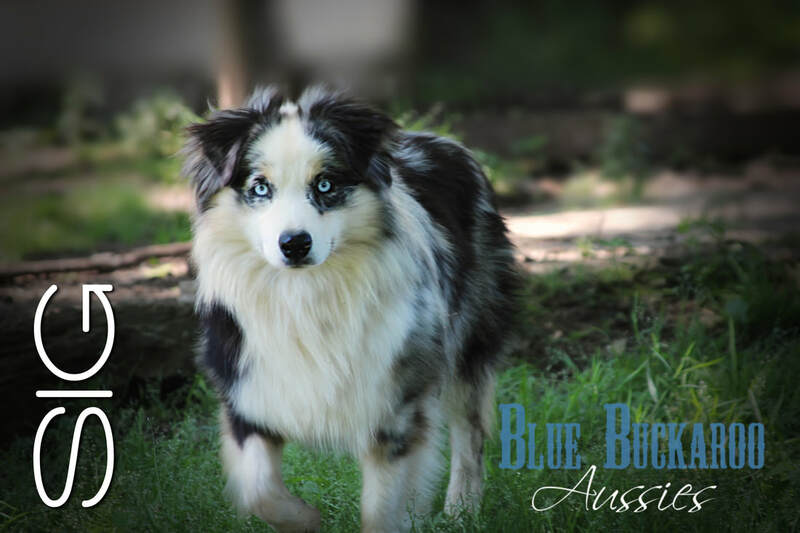 Blue Buckaroo Aussies is so excited to have SIG as a part of our program. He brings awesome bone, structure and temperament to the table. He is our stellar little man in a small package - only 15" tall and 25 lbs. He has a wonderful temperament, great build and great expression. AKC Registered. Reserved - Thank you Suzy and Aleks! 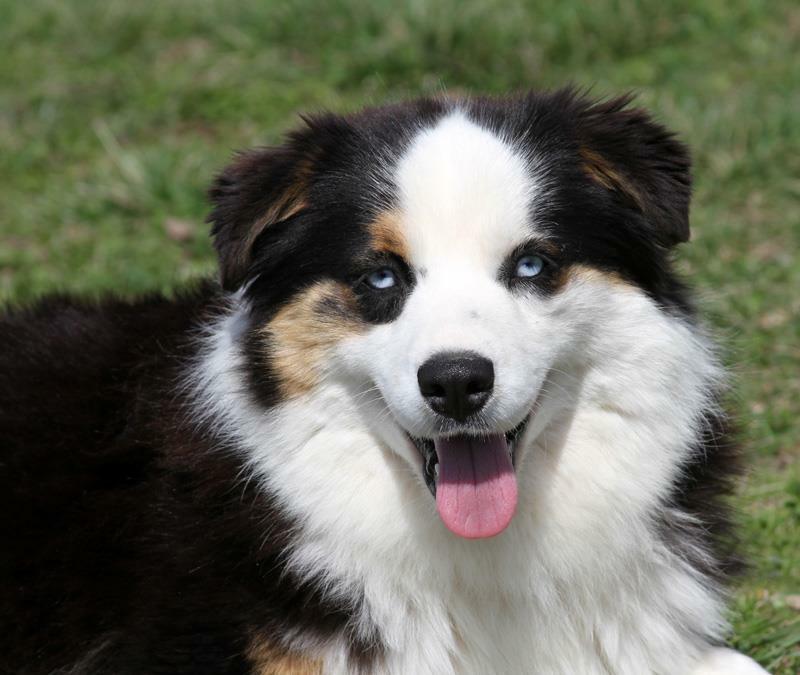 Beautiful blue merle female. Nice symmetrical white blaze. Front white socks. Color will deepen and be gorgeous as she grows. Approx 20 lbs at maturity. Anticipated Blue Eyes. Reserved - Thank you Stricklin Family! Gorgeous dude. Very deep rich color. Front white paws. Very square compact boy. Approx 20 -25 lbs at maturity. Anticipated Blue Eyes. Reserved - Thank you Yelin! Gorgeous little red merle boy. Nice symmetrical white blaze. Front white socks. Color will deepen and be gorgeous as he grows. Approx 20-25 lbs at maturity. Anticipated Blue Eyes. Reserved - Thank you Jon! Handsome blue merle male. Will have some nice copper. Color will deepen and be gorgeous as he grows. Approx 20 -25 lbs at maturity. Anticipated Blue Eyes. Reserved - Thank you Joanie! Neat little split face black tri boy. Approx 25 lbs at maturity. Anticipate blue eyes.